"... played with the Concertgebouw’s phenomenal spectrum of colouring, phrasing and dynamic subtlety ..."
"... purely beautiful ... the playing is richly upholstered, with stunning contributions from the solo flute and bassoon in the first and third movements. Even the most overwhelming climaxes ride on a rich carpet of string sonority." "Five Stars ... it’s hard to beat the world famous Concertgebouw acoustic environment ... Jansons’s players are precise and demonstrate a wider emotional range. The RCO is recorded with a closer perspective, which adds to the impact of their performance. The finale is nothing short of breathtaking. Highly recommended!" The Royal Concertgebouw Orchestra celebrated the 100th anniversary of Dmitri Shostakovich’s birth in 2006 with a series of concerts, operas, film screenings and other events, including this performance of the composer's Symphony No. 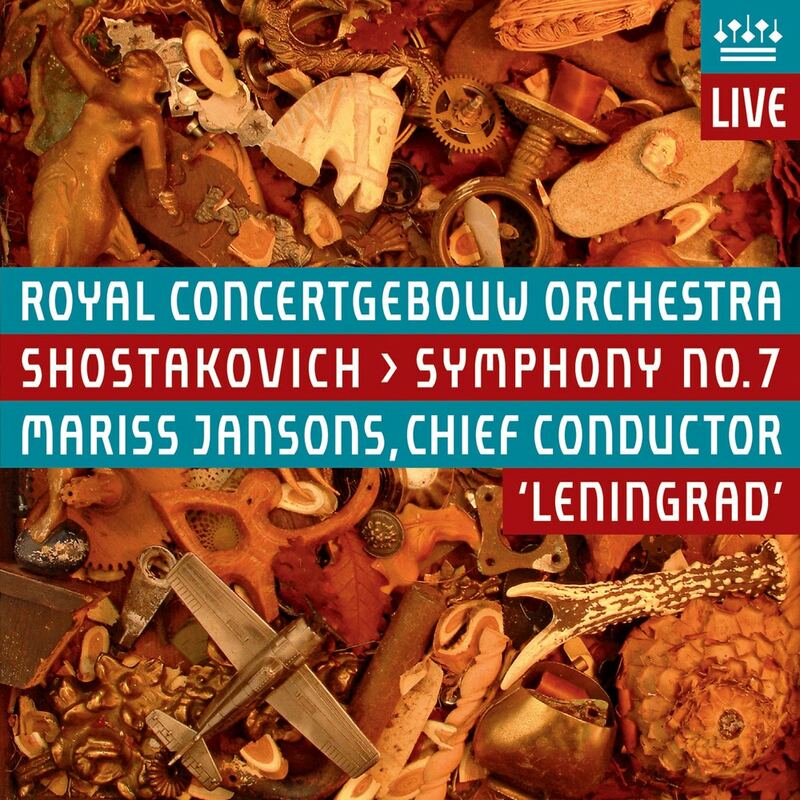 7 "Leningrad", led by Mariss Jansons, recorded live in January 2006.